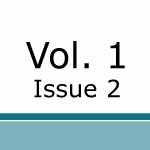 The editors of Present Tense are pleased to welcome you to Volume 7, Issue 1 (Spring/Summer 2018). In keeping with our mission to publish timely scholarship about rhetoric in contemporary life, this general issue brings together a wide range of voices and subjects. Despite their diversity, collectively these articles focus our attention on issues of identity, inclusion, and social justice in realms ranging from sites of education to historical signage, to bathroom placards, to music, and to television. Taken together, these articles offer a view of how rhetoric shapes and is shaped by the multifaceted world around us in profound ways. Kim Hensley Owens’ “No Más MAS: Teachers Defining Pedagogies and Themselves in a Post-Ethnic Studies Arizona” details how two teachers reconfigure their pedagogical identities after the Mexican American Studies (MAS) curriculum was banned in Tucson, Arizona. April L. O’Brien’s “Horrorism and Ontological Dignity: What Do/not Historical Signs Tell Us?” argues that historical signage can impair the ontological dignity of a place through rhetorical moves that deflect attention away from that place’s racist past. Abby M. Dubisar and Gabrielle E. Roesch-McNally’s “Representation, Resistance, and Rhetoric: Bananas Catalyze Campus Activism” documents an interdisciplinary collaboration between a rhetoric scholar and a sustainable agriculture student to convey the benefits of such collaborations for helping students understand university-sponsored research at their institutions. William Duffy and John Pell’s “The Indecorous Objects of Social Transformation” employs object-oriented rhetorics to examine how objects such as bathroom placards can work as disruptions to bring about social change for LGBTQ community members and other marginalized groups. Jonathan F. Williams’ “Burke, Black Metal, and the Golden Dawn: Deconstructing the Dangerous Appeal of National Socialist Black Metal” offers an analysis of contemporary white supremacist rock music’s disturbing appeal through the lens of Kenneth Burke’s theories of identification. Andrew Pilsch’s “The Ethos of Mr. Robot” describes the anti-corporate ethos conveyed in the television series Mr. Robot and explores how this functions in relation to the shifting ethos of the network which produces and distributes the show. As always, we wish to thank our authors for their excellent scholarship, our reviewers for their time and feedback, and our many advisers who have guided us through the years. Most of all, thanks to our readers for supporting Present Tense.